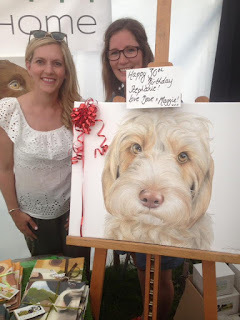 Now the words mischievous and Cockapoo tend to come hand in hand! But these adorable dogs have also got some extremely endearing characteristics too. Maggie here is a friend of Ned's (my Sprocker Spaniel) and regularly steals his tennis balls, although he does get his revenge and pinches her dinner from time to time! They are also Canicross Buddies along with their other mate Boris the Labradoodle. 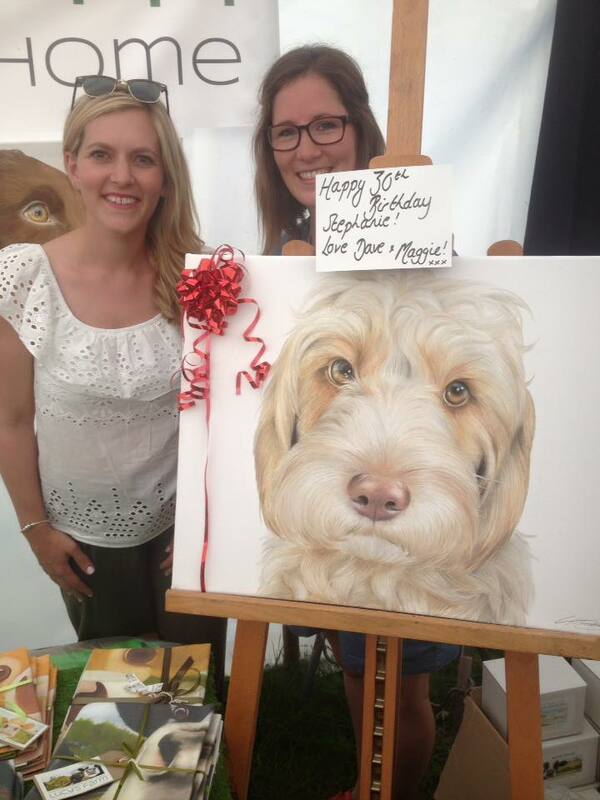 I was asked to paint Maggie as a 30th Birthday present for her mum Steph. I wanted to capture that 'Butter wouldn't melt' kind of look that I have become quite familiar with over the last couple of years!